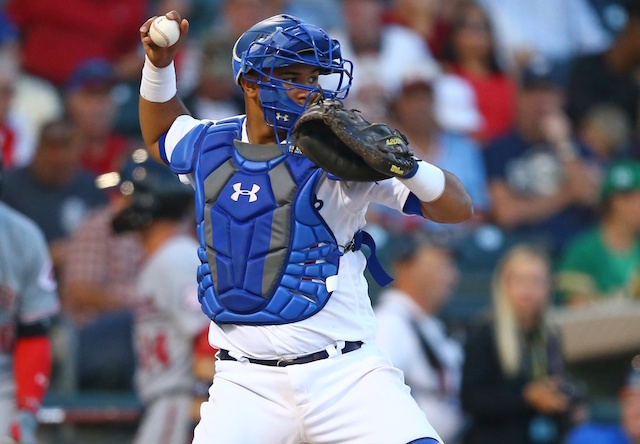 The Los Angeles Dodgers were prominently featured in Baseball America’s top 100 prospects list for the 2019 season, headlined by catcher Keibert Ruiz’s inclusion at No. 20 overall. Joining Ruiz in the publication’s rankings are outfielder Alex Verdugo (No. 35), shortstop Gavin Lux (40), right-hander Dustin May (82) and catcher Will Smith (95). Ruiz, an international free agent signing in 2014, has emerged as the Dodgers’ consensus top prospect for the upcoming season. Baseball America recently pegged him as such when constructing their top-10 prospects list for the organization. Ruiz is coming off a season in which he hit .268/.328/.401 with 12 home runs and 47 RBI in 101 games for Double-A Tulsa. He followed up that performance with a strong showing in the Arizona Fall League and is believed to be the Dodgers’ catcher of the future. Verdugo, 22, saw the bulk of his time with Triple-A Oklahoma City in 2018. For the affiliate, he hit .329/.391/.472 with 19 doubles, 10 home runs and 44 RBI over 379 plate appearances (91 games). 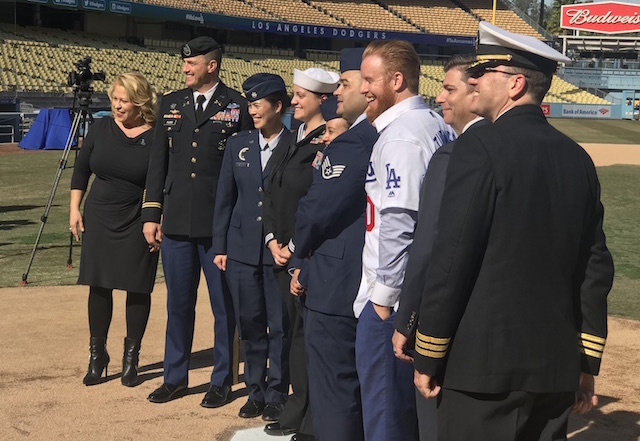 Verdugo has appeared in only 52 games at the Major League level over the past two seasons but is presumably slated for a much larger workload in 2019 following the trades of Matt Kemp and Yasiel Puig. Lux, 21, is entering his fourth professional season in the Dodgers organization. A first-round draft pick in 2016, the Wisconsin native hit .324/.399/.514 with 27 doubles, eight doubles, 15 home runs and 57 RBI for High-A Rancho Cucamonga and Double-A Tulsa last year. May, 21, additionally split time with the Quakes and Drillers in 2018. Between the two affiliates, he went 9-5 with a 3.39 ERA and 1.11 WHIP over 132.2 innings pitched (23 starts). He struck out 122 batters while issuing only 29 walks. Smith, perhaps next in line for a Major League promotion at some point in 2019, produced a .233/.322/.455 slash line with 18 doubles, 20 home runs and 59 RBI for Double-A Tulsa and Triple-A Oklahoma City last season. A trio of former Dodgers prospects additionally cracked Baseball America’s list. Yordan Alvarez, now of the Houston Astros checked in at No. 34; Yusniel Diaz, the centerpiece to acquire Manny Machado last summer placed No. 37; and Oneil Cruz, who was traded to the Pittsburgh Pirates in 2017, was ranked No. 79.